We are an experienced and established team, passionate about supporting people living with dementia and those who care for them. We support people in the Ripon and Harrogate district, York and The Vale. 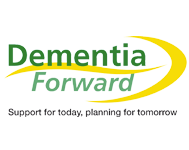 We provide a number of services and different avenues of support and information to anyone who is interested in dementia, whether they have received a diagnosis, have concerns about their memory, support someone with memory problems, work in dementia care or just want to know more!